Camas #1 Takes 4th at State! 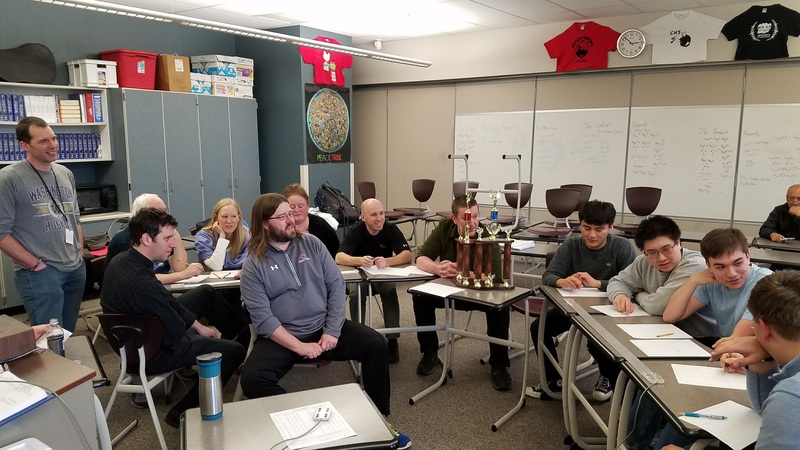 This past Wednesday at Camas High School, the state bound CHS knowledge bowl team challenged the staff to a round of questions in an after school match of brainpower and wit. The staff, eager to defend their victory against last year’s qualifiers, rose to the challenge magnificently and gave a glorious effort, but despite assembling an impressive cast of characters from nearly every department at CHS, they went down in defeat by a score of 27-19. 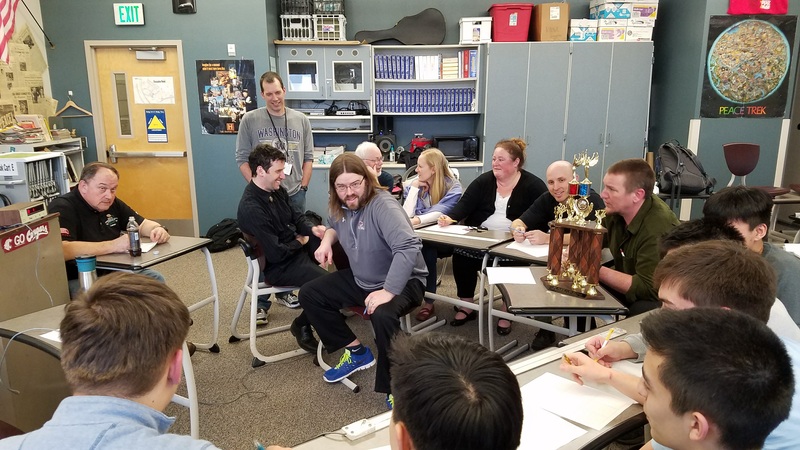 The students were impressive in their systematic but gracious “dismantling” of the staff, making good on their promise of coming back from last year’s loss to the staff. Apparently the staff have done too good of a job in preparing them for knowledge bowl in their classes! What a difference a year makes. 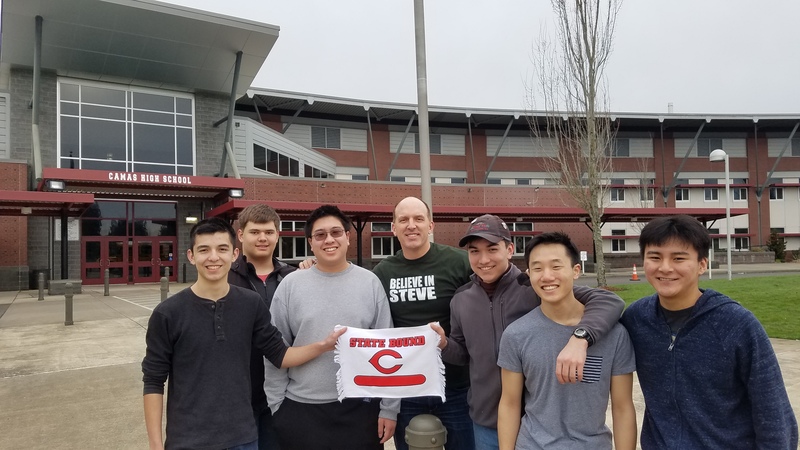 Special thanks to the following CHS staff for coming out and helping prep the kids for State: Bruce Anderson, Joe Farland, Greg Plitt, Eric Linthwaite, Stacy Nilles, Alan Bohac, Dale Croswell, Ethan Chessin, and Charlotte Waters. 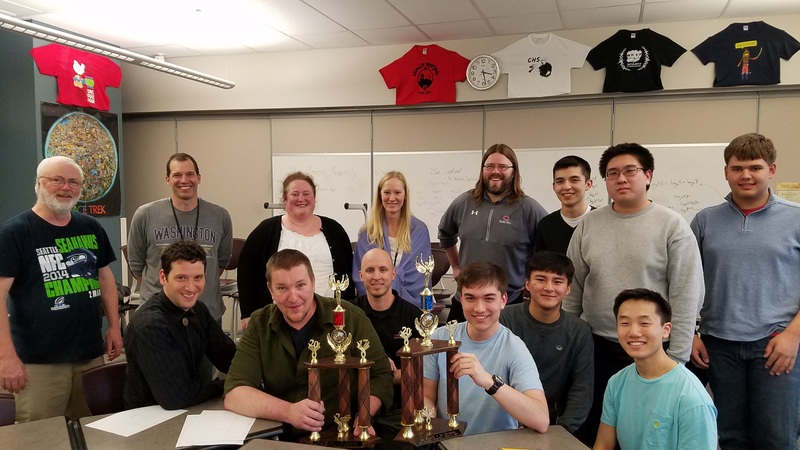 And best of luck this weekend to Camas High School Varsity #1 as they head off to State to compete against some of the best knowledge bowlers from across Washington. Varsity #1 is made up of the following students: Jason Kim, Chemay Shola, Calvin Taylor, Noah Thompson, Jesse Lester, and Vincent Wu.